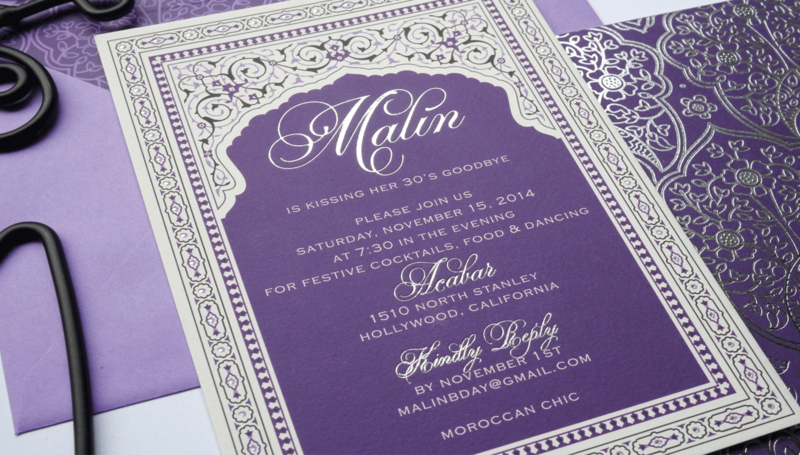 This chic purple and silver 40th Birthday invitation was inspired by Bollywood and Moroccan artwork. 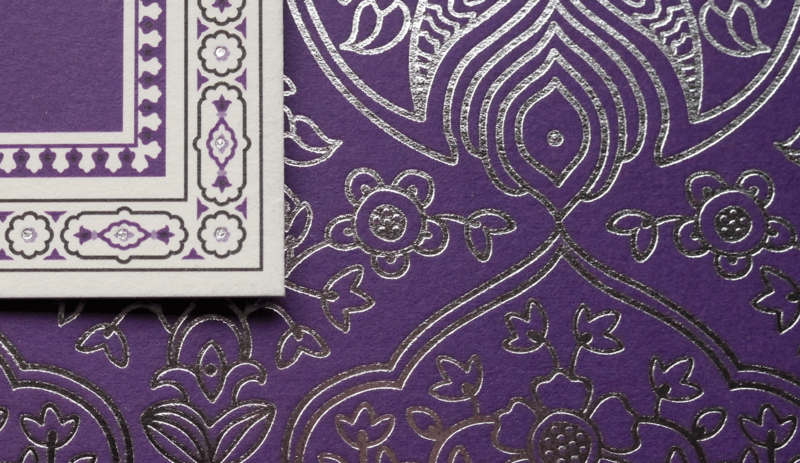 Foil and flat printed on thick cotton card stock. 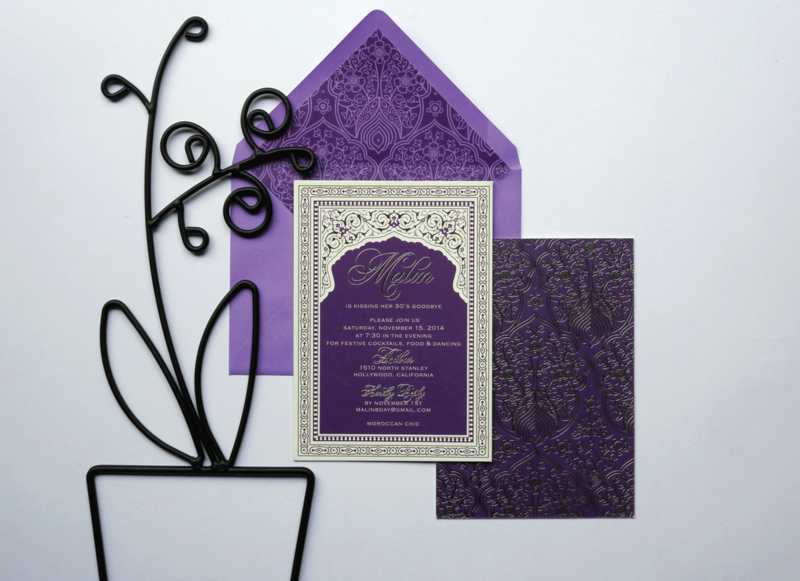 Invitation included front and back printing and custom printed lined envelope.